Hands up if you loves pancakes for breakfast and are a mad pumpkin lover?! 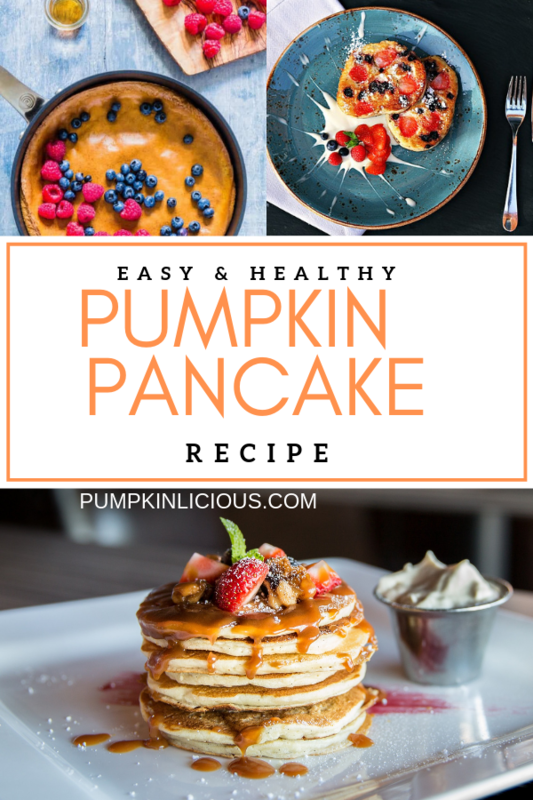 That’s two things you have in common with me and it is your lucky day because I am going to share my easy pumpkin pancake recipe with you all. There are two ways you can incorporate pumpkin into your pancake recipe. You can add it into your pancake mix or you can add it as a topping with fruit and syrup. I prefer to add it into my pancake mix. In another bowl, using a whisk mix olive oil, puree, milk, butter and eggs together. When this is well mixed add it to the other mixing bowl with the flour etc. In a oil greased pan, over moderate heat add some pancake mix. The amount you should add is totally up to you and depends what size of pancake you want. It is trial and error and it is hard to get all pancakes the same size but as long as they taste good that is the main thing. Pancakes should be flipped so that each side can be cooked. Will take roughly 2.5 to 3 minutes for each side to turn brown. Finally add the pumpkin pancake topping of your choice. Remember you can eat these all year long if you buy canned pumpkin or if you freeze some of your fresh pumpkin! Why wait until Fall for such a delicious treat. Pumpkin Pancakes Easy Recipe is very easy and quick. Of course there are lots of other flavors and additives you can use to make them interesting. Lots of people adore the IHOP Pumpkin Spice Pancakes and you can see a copycat recipe in the video below. 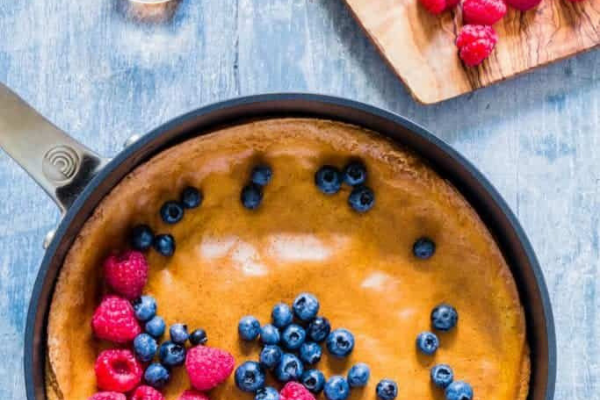 My easy Pumpkin pancake recipe tastes amazing on it’s own but I like to add some maple syrup and some fruit on top to make them even tastier and healthier. Berries like blueberries, raspberries and strawberries work well. These also look very appealing and if I have guests over they do not stay on the plate too long! Of course you can add some canned pumpkin on top or some fresh pumpkin puree. It is so easy to cook pumpkin and make puree using homegrown pumpkins! Why not add some puree on top as well as in the mix! 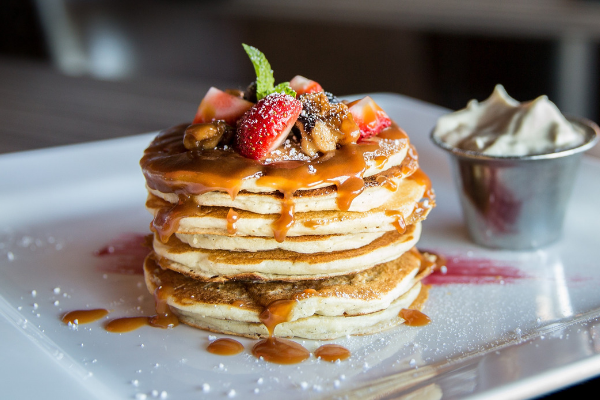 Some people like fresh cream or custard with pancakes especially if they are having them as a snack. Fresh cream and fresh fruit really is the perfect combination for a treat. Taste of Home loves adding cinnamon-apple as a topping. I always associate cinnamon and apple with tart or crumble so I am pretty sure it will work with pancakes. When I was a teen I used to treat myself to apple pancakes and cream every weekend. Basically it was a pancake slider with apples and cream in between; goodness knows how I stayed so skinny, but they were absolutely amazing. Pumpkin Donut Recipe – Sweet and Scrumptious. A great treat for all the family mid afternoon or as dessert. Pumpkin Chocolate Cake – My goodness who doesn’t adore chocolate cake, and surely there is nothing better than a pumpkin one. Pumpkin Coffee Cake With Buttercream Icing – pumpkin works well with any type of cake! Will you be trying this easy pumpkin pancake recipe? Will you add pumpkin as a topping or in the pancake mix, or both?